Welcome to the employment page of the Little Sisters of the Poor in Scranton! My name is Patrick Casper, and I am the human resources director for Holy Family Residence. As employees, we share in the work of the Little Sisters by assisting them in their mission of hospitality–welcoming the elderly poor, making them happy, and caring for them until God calls them home. Following the example of Saint Jeanne Jugan as we carry out our varied roles, we contribute to the family spirit and the daily life of the Home. 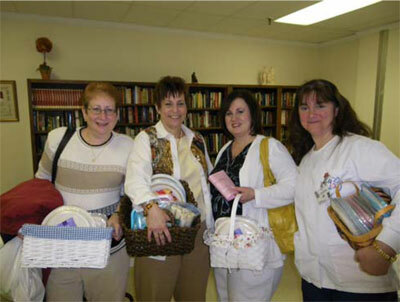 Would you like to become an integral part of the Little Sisters mission? Are you interested in being an extension of their hands in work? If so, we welcome your inquiries. We provide equal employment opportunities in the areas of administration, maintenance, dietary, activities, social services, housekeeping, laundry, and nursing. You can reach me at (570) 343-4065 or schumanresources@littlesistersofthepoor.org.